I hope that the spring and summer have been kind to you and your family. I sent to you the result of my research on my Jessee family from Tennessee. I have heard nothing from my plea for information that might connect my Jacob Jessee back to the son of David and Catherine Jessee, b. abt 1813; nor have I found anything to suggest that my Jacob is not the son of David and Catherine. I am, therefore, declaring that, unless and until I find/receive information to the contrary, my Jacob Jessee is the son of David and Catherine Jessee born about 1813. For me, this is one of those "preponderance of evidence" issues in that everything that I find that may relate to Jacob suggests that this is the case, but there is no conclusive proof. The most recent is that the James Jessee, age 13, living with Jacob's widow, Nancy, in the 1870 census, is the first cousin 1x removed of Jacob. I realize that my conclusion might not withstand the scrutiny of a factual analysis, however, I am comfortable in my findings until something to the contrary shows up. 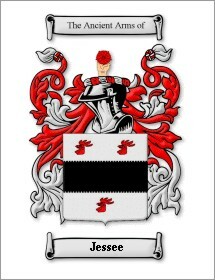 Download "My Jessee Clan from Tennessee"